As the final weekend of summer draws to an end and the box office numbers continue to sink, it’s time to take a look at the franchises that form the backbone of the summer blockbuster season and see where each one is in its life cycle. Some franchises are finding new life, others are hitting their peak, and some long-running ones have seen their returns fall so low that they have taken the rest of the box office down with it. The big winners, of course, are the superhero films. “Wonder Woman” was the only film of the summer to gross over $400 million domestically, and at San Diego Comic-Con, Warner Bros. announced a sequel for December 2019. The DC Extended Universe had been critically panned before “Wonder Woman” but has remained a strong moneymaker despite suffering steep drops in holdover weeks. Take “Suicide Squad,” which made $325 million domestically and whose absence has been sorely felt at the box office this month. But “Wonder Woman” not only outperformed its DCEU peers with American audiences, it is also expected to renew interest in the next DC film, “Justice League,” which will star Gal Gadot as the beloved heroine alongside Batman, The Flash and others. If “Justice League” can be both a critical and commercial success like “Wonder Woman,” the future will be bright for a cinematic universe once believed to be in jeopardy. Marvel Studios, meanwhile, rejuvenated interest in Spider-Man with “Spider-Man: Homecoming,” much to the relief of Sony Pictures. While Spidey will likely never earn the numbers it made last decade, it did well enough to get Sony to move full steam ahead on a mini-cinematic universe for the webslinger, with two spinoffs in development. A sequel to “Homecoming” is in the works, and it will have the advantage of sporting a plot that builds off of whatever happens to Spidey in the upcoming “Avengers” films. “Guardians of the Galaxy Vol. 2” also was a big success, doing something that precious few sequels last summer were able to do: outgross its predecessor. “Vol. 2” made $389 million in the U.S., a 17 percent increase from what the first “Guardians” made in 2014. Meanwhile, on the animated side, “Despicable Me 3” has made $254 million domestically and nearly $1 billion worldwide, making Gru and the Minions the most lucrative animated franchise of all-time. But while that’s all good news, the bad news is that other franchises that have been running for over a decade have finally run out of gas. 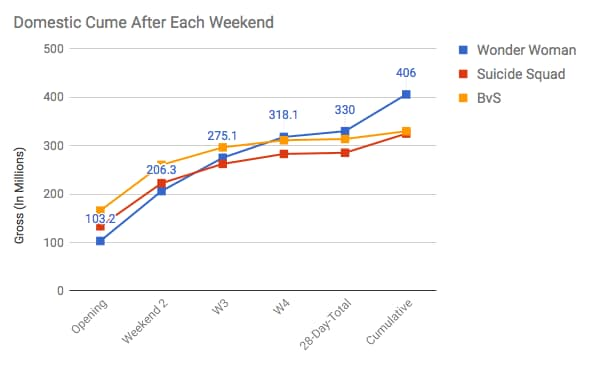 In order to sustain the box office totals of summers past, movie theaters needed these sequels to perform well in their opening weekends. Instead, they have produced by far the lowest returns in their respective franchises. The first was “Pirates of the Caribbean: Dead Men Tell No Tales,” which contributed to the lowest Memorial Day Weekend box office in nearly two decades and only made $171 million domestic. That’s down nearly 30 percent from the last “Pirates” film, “On Stranger Tides” ($241 million). 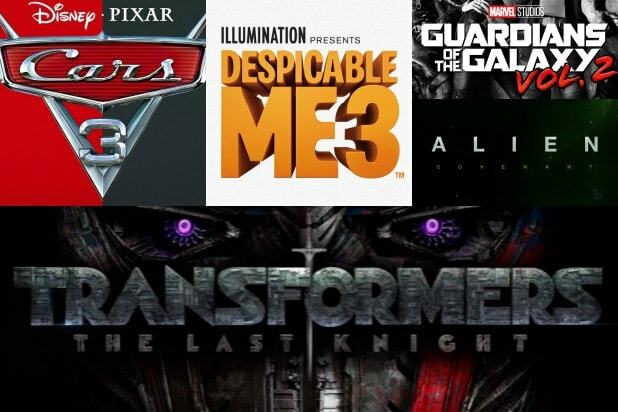 The other big sequel bust, “Transformers: The Last Knight,” made only $130 million in the States for a staggering 47 percent drop from the 2014 installment “Age of Extinction,” while only making just over $600 million worldwide against a reported $217 million budget. Then there was “War for the Planet of the Apes,” which made $142 million compared to the $208 million made by “Dawn of the Planet of the Apes” in 2014. Combined, these three films made $251 million less than the last installments in their respective franchises. 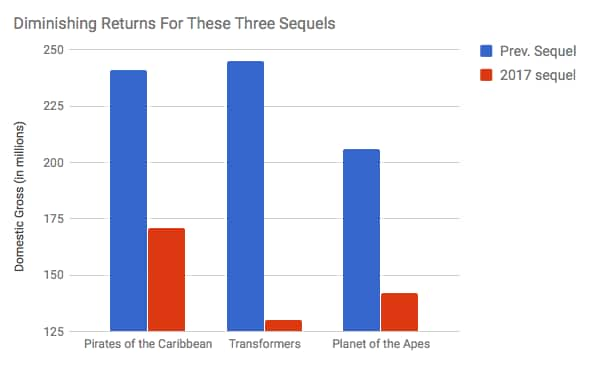 Had these three sequels at least matched their predecessors, it alone still wouldn’t have been enough to push the summer total past $4 billion, but it would have brought it close. According to estimates from comScore and Box Office Mojo, the summer total currently stands at $3.68 billion. Without the drop in performance from “Transformers,” “Pirates” and “Apes,” the box office would be roughly at $3.93 billion, giving it a chance to limp past the $4 billion mark on Labor Day weekend. Instead, the summer box office will fail to reach $4 billion, as studios will have to consider how to proceed with franchises that haven’t performed as well as “Despicable Me” and “Spider-Man” have. “Transformers,” for example, has a “Bumblebee” spinoff set for release next year, followed by “Transformers 6” the year after. But those sequels were slated before “The Last Knight” showed that “Transformers” is no longer the critic-proof audience magnet it was back in 2009. If some of these franchises do indeed press forward, studios will have to be more prudent about how much money they invest in them. Of course, “Transformers” and “Pirates” weren’t the only franchises that underperformed. To see where all the sequels and series stand after this summer, check out the gallery below. ‘Hitman’s Bodyguard': Does It Rely on ‘Troubling’ Racial Stereotypes With White Man Saving Black Criminal?